Elegant and spacious main Cortijo, large garden and private pool, andalucian palm tree studded patio and additional 18 luxurious guest suites set in subtropical gardens with a lagoon pool and restaurant seating up to 200 people. State-of-the-art equestrian centre with 30 spacious and bright loose boxes each with own paddock, open air and covered international sized riding arenas, covered walker with lungeing circle, second smaller riding arena, paddocks, stable hall for foals, open stables – total built area over 13.000 m2 on grounds of 167.000 m2. Ideal as private residence, stud farm, club, riding training centre or hotel with riding facilities. 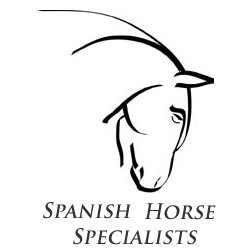 Perfectly situated to enjoy the centre of the Spanish Equestrian World, very close to the Sunshine Tour, Jerez de la Frontera and Seville.